File es el nombre de una isla de Egipto, en el río Nilo, situada a 11 km. de Asuán. Célebre por los templos erigidos durante los periodos ptolemaico y romano dedicados al culto a la diosa Isis que se propagó por todo el Mediterráneo, manteniéndose su veneración en el templo de File hasta que fue prohibido en tiempos de Justiniano I, el año 535 d.C.
Antes de que fuera sumergida en las aguas de la presa de Asuán, los templos de File fueron desmontados, trasladados y reconstruidos en el cercano islote de Agilkia. Los templos forman parte del Museo al Aire Libre de Nubia y Asuán, declarado Patrimonio de la Humanidad por la UNESCO en 1979 con el nombre de Monumentos de Nubia de Abu Simbel a File. El templo de Arensnufis, divinidad meroítica. De tiempos de Ptolomeo IV Filópator y Arqamani, rey de Meroe. El primer pilono, con los obeliscos de Ptolomeo VIII Evergetes. El templo de Hathor, de Ptolomeo VI Filómetor y Ptolomeo VIII Evergetes. 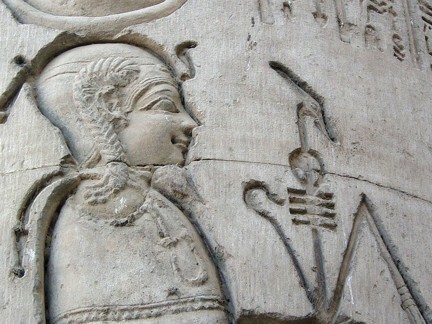 Al oeste está la llamada puerta de Adriano, al pasar por la cual se llega a la capilla principal y al templo de la diosa Hathor, al este del templo de Isis. Los pilares están decorados con escenas de músicos, bailarines y dioses. Al suroeste está el quiosco de Trajano. (2) Philae (Greek: Φιλαί) or Pilak or P'aaleq (Egyptian: remote place or the end or the angle island) or Arabic: Anas el Wagud, is an island in the Nile River and the previous site of an Ancient Egyptian temple complex in southern Egypt. The complex is now located on the nearby island of Agilika. Panoramic view at the Philae TempleThe most conspicuous feature of both islands was their architectural wealth. Monuments of very various eras, extending from the Pharaohs to the Caesars, occupy nearly their whole area. The principal structures, however, lay at the south end of the smaller island. The most ancient were the remains of a temple of Athor (Aphrodite), built in the reign of Nectanebus. The other ruins date for the most part from the Ptolemaic times, more especially with the reigns of Ptolemy Philadelphus, Ptolemy Epiphanes, and Ptolemy Philometor (282-145 BC), with many traces of Roman work as recent in Philae, dedicated to Ammon-Osiris, was approached from the river through a double colonnade. In front of the propyla were two colossal lions in granite, behind which stood a pair of obelisks, each 44 feet high. The propyla were pyramidal in form and colossal in dimensions. One stood between the dromos and pronaos, another between the pronaos and the portico, while a smaller one led into the sekos or adytum. At each corner of the adyturn stood a monolithal shrine, the cage of a sacred hawk. Of these shrines one is now in the Louvre, the other in the Museum at Florence. Right left of the entrance into the principal court are small temples or rather chapels, one of which, dedicated to Athor, is covered with sculptures representing the birth of Ptolemy Philometor, under the figure of the god Horus. The story of Osiris is everywhere represented on the walls of this temple, and two of its inner chambers are particularly rich in symbolic imagery. Upon the two great propyla are Greek inscriptions intersected and partially destroyed by Egyptian figures cut across them. The inscriptions belong to the Macedonian era, and are of earlier date than the sculptures, which were probably inserted during that interval of renaissance for the native religion which followed the extinction of the Greek dynasty in Egypt. 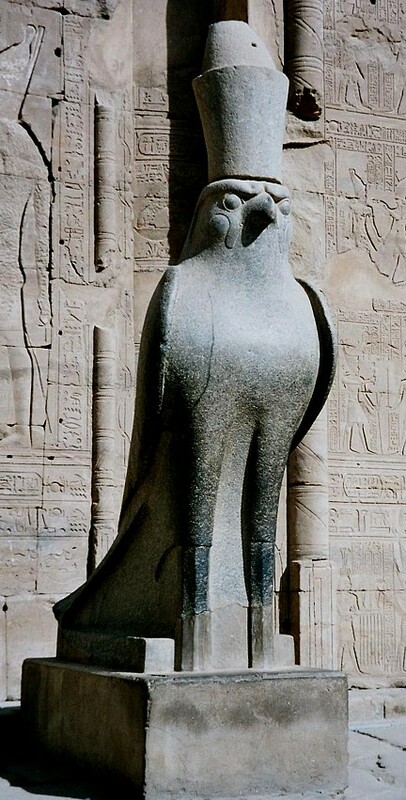 (30 BC) The monuments in both islands indeed attested, beyond any others in the Nile-valley, the survival of pure Egyptian art centuries after the last of the Pharaohs had ceased to reign. Great pains have been taken to mutilate the sculptures of this temple. The work of demolition is attributable, in the first instance, to the zeal of the early Christians, and afterwards to the policy of the Iconoclasts, who curried favour for themselves with the Byzantine court by the destruction of heathen as well as Christian images. The soil of Philae was carefully prepared for the reception of its buildings  being levelled where it was uneven, and supported by masonry where it was crumbling or insecure. For example, the western wall of the Great Temple, and the corresponding wall of the dromos, were supported by very strong foundations, built below the pre-inundation level of the water, and rested on the granite which in this region forms the bed of the Nile. Here and there steps were hewn out from the wall to facilitate the communication between the temple and the river. At the southern extremity of the dromos of the Great Temple was a smaller temple, apparently dedicated to Isis; at least the few columns that remained of it are surmounted with the head of that goddess. Its portico consisted of twelve columns, four in front and three deep. Their capitals represented various forms and combinations of the palm branch, the dhoum-leaf, and the lotus-flower. These, as well as the sculptures on the columns, the ceilings, and the walls, were painted with the most vivid colors, which, owing to the dryness of the climate, have lost little of their original brilliance. The ancient Egyptian name of the smaller island is Philak, or boundary. As their southern frontier, the Pharaohs of Egypt kept there a strong garrison, and, for the same reason, it was a barrack also Macedonian and Roman soldiers in their turn. 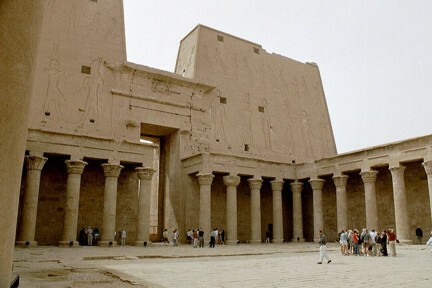 The island temple at Philae was constructed over a three-century period, by the Greek Ptolemaic dynasty and the Roman Principate. 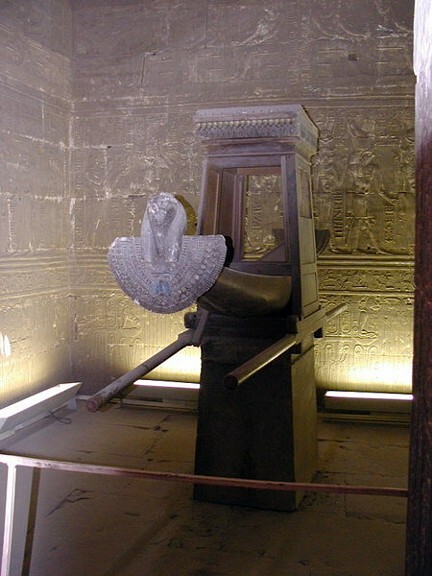 The principal deity of the temple complex was Isis, but other temples and shrines were dedicated to her son Horus and the goddess Hathor. 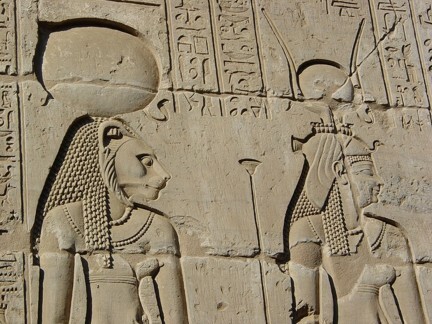 In Ptolemaic times Hathor was associated with Isis, who was in turn associated with the Greek goddess Aphrodite. For centuries the temple complex was the holiest site for Isis worshippers. The temple was officially closed down in the 6th century A.D. by the Byzantine emperor Justinian. It was the last pagan temple to exist in the Mediterranean world. Philae was a seat of the Christian religion as well as of the ancient Egyptian faith. 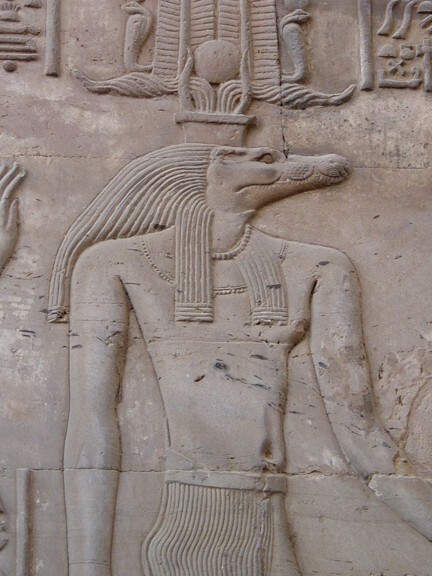 Ruins of a Christian church were still discovered, and more than one adytum bore traces of having been made to serve at different eras the purposes of a chapel of Osiris and of Christ. The Philae temple was converted into a church dedicated to the Virgin Mary, until that was closed by Muslim invaders in the 7th century. The island of Philae attracted much attention in the nineteenth century. In the 1820s, Joseph Bonomi the Younger, a British Egyptologist and museum curator visited the island. So did Amelia Edwards, a British novelist in 18731874|4. The approach by water is quite the most beautiful. Seen from the level of a small boat, the island, with its palms, its colonnades, its pylons, seems to rise out of the river like a mirage. Piled rocks frame it on either side, and the purple mountains close up the distance. As the boat glides nearer between glistening boulders, those sculptured towers rise higher and even higher against the sky. They show no sign of ruin or age. All looks solid, stately, perfect. One forgets for the moment that anything is changed. If a sound of antique chanting were to be borne along the quiet air  if a procession of white-robed priests bearing aloft the veiled ark of the God, were to come sweeping round between the palms and pylons  we should not think it strange. These visits were only a sampling of the great interest that Victorian-era Britain had for Egypt. Soon, tourism to Philae became common. Aswan Low DamIn 1902, the Aswan Low Dam was completed on the Nile River by the British. This threatened many ancient landmarks, including the temple complex of Philae, with being submerged. The dam was heightened twice, from 190712 and from 192934, and the island of Philae was nearly always flooded. In fact, the complex was not underwater only when the dam's sluices were open, from July to October. It was postulated that the temples be relocated, piece by piece, to nearby islands, such as Bigeh or Elephantine. However, the temples' foundations and other architectural supporting structures were strengthened instead. Although the buildings were physically secure, the island's attractive vegetation and the colors of the temples' reliefs were washed away. Also, the bricks of the Philae temples soon became encrusted with silt and other debris carried by the Nile. By 1960, UNESCO had decided to move many of the endangered sites along to Nile to safer ground. 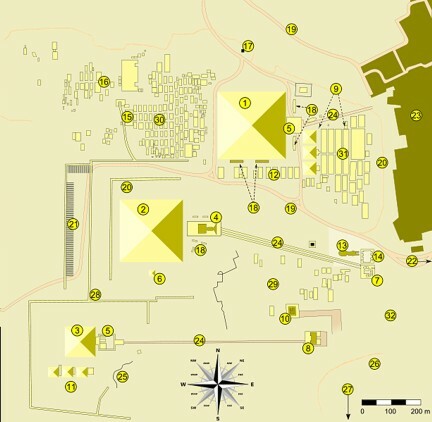 Philae's temple complex was moved, piece by piece, to Agilkai, 550 meters away, where it was reassembled and remains today. That project lasted from 1977 to 1980. 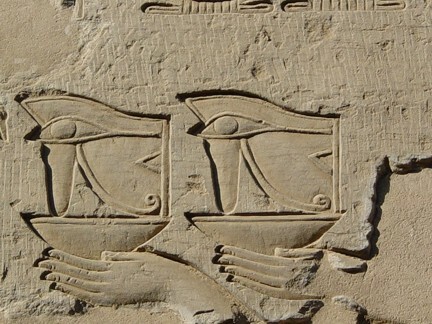 Prior to the inundation, a little west of Philae lay a larger island, anciently called Snem or Senmut, but now Beghé. It is very precipitous, and from its most elevated peak affords a fine view of the Nile, from its smooth surface south of the islands to its plunge over the shelves of rock that form the First Cataract. Philae, Beghé, and another lesser island. divided the river into four principal streams, and north of them it took a rapid turn to the west and then to the north, where the cataract begins. Beghé, like Philae, was a holy island; its and rocks are inscribed with the names and titles of Amenhotep III (Amunoph III), Rameses the Great, Psammetichus, Apries, and Amasis, together with memorials of the Macedonian and Roman rulers of Egypt. Its principal ruins consisted of the propylon and two columns of a temple, which was apparently of small dimensions, but of elegant proportions. Near them were the fragments of two colossal granite statues, and also an excellent piece of masonry of much later date, having the aspect of an arch belonging to some Greek church or Saracen mosque.